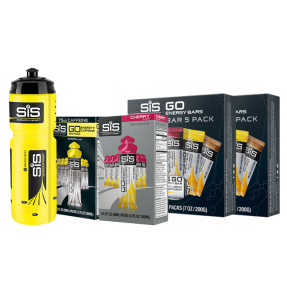 The GO Isotonic Gel is the world’s first isotonic gel effectively delivering an easily digestible and quick supply of carbohydrates for energy during exercise. GO Isotonic Gels are designed to be consumed without water meaning that you can ensure rapid delivery of carbohydrates to your muscles. 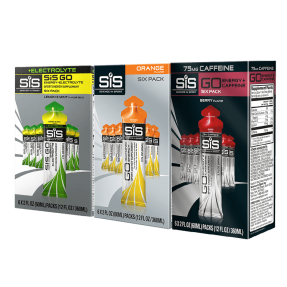 Sample all of our famous GO Isotonic Energy Gel flavors in this Mixed Isotonic Gel Bundle. Used by the likes of USA Cycling, USA Triathlon and Rock ‘n’ Roll Marathon runners, find out which one is your favorite. Flavors include: Orange, Tropical, Cherry, Chocolate, Apple & Lemon Lime. 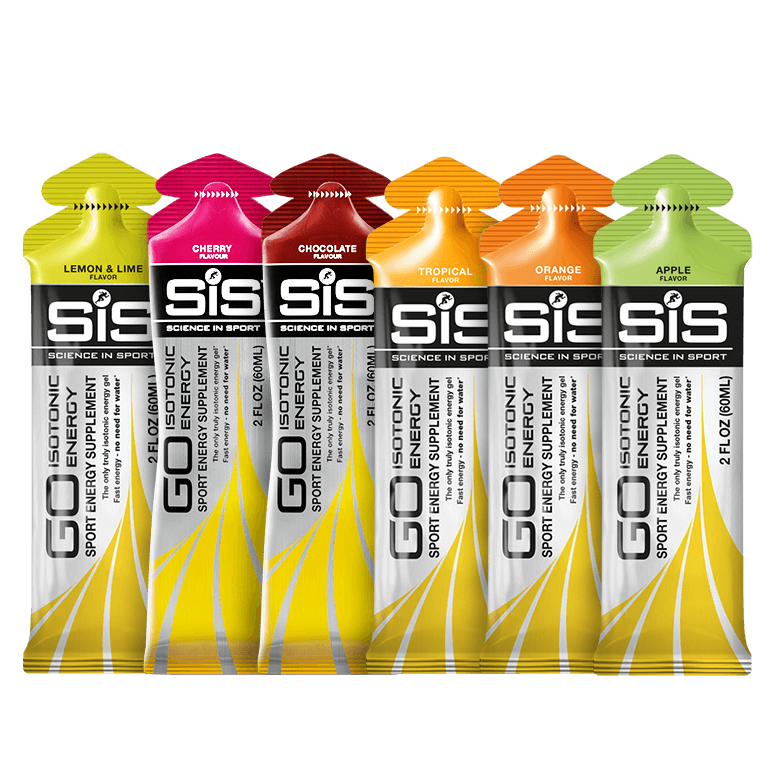 The SiS GO Isotonic Energy Gel was the world's first isotonic gel effectively delivering an easily digestible and quick supply of carbohydrates for energy during exercise. Winner of the Queens award for enterprise, this innovative product continues to be seen at the forefront by endurance athletes. Use during endurance sessions and events to help avoid crashing. The flavors of the gels are good, and they aren't thick. They ate very easy to get down, and you don't need to chase it with any liquid, but do be sure to hydrate! They do exactly what they're supposed to do. I use them on long runs or cold/hot runs, and I never cramp up from them. One time I had a really bad side stitch because I hadn't consumed enough carbs before getting halfway into my run. I took one SiS gel and it went away pretty quickly (5 or so minutes), so I was able to finish my run. My favorite was the apple, would order again. I really like the consistency of these gels. Flavor is tasty without being overpowering. Much easier to eat on the run than gu gels. Tastes good and truly does not need to be taken with water--amazing! The only complaints I have are the full price ($$) and the difficulty to open the packs while running. If my hands are a bit sweaty, it is very hard to open the energy gel pack. Great during riding or running. Just what I need to get through some longer workouts! Easy to take with or without water. The best product in the planet!!! Fantastic gels! I love the consistency and taste. They are less sticky and thick compared to most other gels and I find them much easier to eat mid-ride, particularly since I don’t need to worry about taking a bunch of water with them. Fantastic product. Only gels I’ll use on a ride now, especially since it means I don’t have to worry about having extra water with me. The taste is great from all of the options. I'm incorporating these into my exercises more and more. I'm an Ironman athlete and couldn't ask for anything else from these. Way easier to ingest than any of the other similar products without the mess. Good bundle for new users. The SiS gels are great. I like how they don't give a peak of blood sugar with its consequent drop, but lacking fructose or glucose in the mixture with maltodextrin provides a lower oxidation rate of only ~1 g/min instead of ~1,5 g/min. Also, I miss having more electrolytes in these gels. I know there is a "+electrolyte" type, but I wish I could also have it for the caffeinated ones. On the other hand, I guess there are not that much to keep the isotonic properties, right? 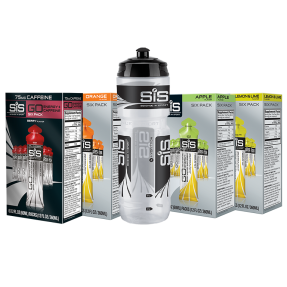 Even so, I will stick to these SiS gels, because I love the science behind the sports nutrition! These gels are amazing! Way easier to take than gu, they taste much better, and they are a much more pleasant texture. All around my favorite energy gels! Awesome Flavors with a great taste. Easy to take without water. Good selection and all are good.